With a lint-free design and PVC dots on the palm for enhanced grip, the Supertouch 2681 PVC Dot Palm Assembly Gloves are perfect for small scale assembly and inspection work. 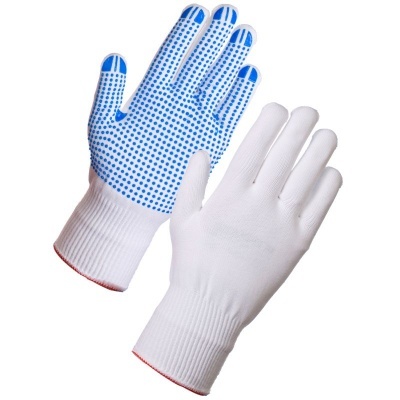 They are designed to protect even the most delicate products from fingertips, dust particles and lint. The 2698 Assembly Gloves are designated Category II gloves, which makes them suitable for most intermediate work applications. 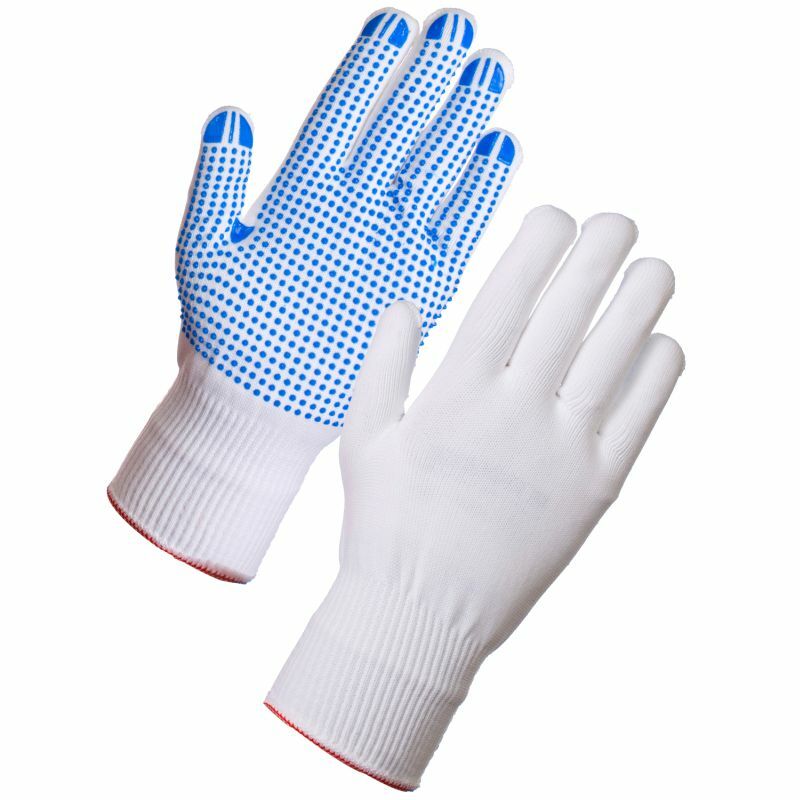 The 2681 PVC Dot Palm Assembly Gloves are available in four adult sizes. Please measure the circumference of your hand around the knuckles (excluding the thumb) with your hand open and your fingers together, and the length of your hand from the tip of your middle finger to your wrist.